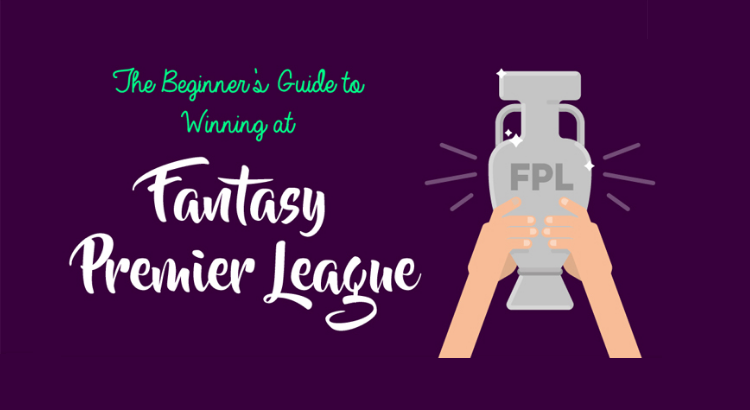 If you’re a beginner or novice Fantasy Premier League (FPL) player, then this guide will help transform you into a powerhouse capable of winning your mini-leagues and taking on the top 50k places or better – a goal many people simply dream of achieving. By sticking to the above budgets per position, you ensure both strength and balance in your squad. Goalkeepers: 2 x cheaper (4.5/5.0) goalkeepers that you rotate based on fixture difficulty OR 1 x 5.5-6.0 permanent goalkeeper, combined with a 4.0 goalkeeper that will remain on the bench the majority of the time. Remember, cheaper goalkeepers are likely to pick up more save (and therefore bonus) points, whereas more expensive goalkeepers may be more likely to keep clean sheets. Defenders: 2 x premium defenders (5.5–6.5) combined with 3 x 4.5 defenders, or even 4.0 players if you can find players that are guaranteed to play at this price. OR 3 x lower-premium defenders (5.0, 5.0, 5.5) and 2 cheaper rotation players/backups. Do not overspend in your defence; this is one of the biggest rookie mistakes. You will almost always only play 3 defenders as 3-4-3 is the best formation for points scoring on average, followed by 3-5-2. Midfielders: 2 or 3 premium midfielders (8.5–13.0), 1 or 2 good midfielders (6.5-8.0) and a backup (4.5-5.5). Remember to keep one midfielder as a clear back-up option. Having 8 incredibly strong front players (midfield and forwards) is a mistake because you will have to bench one of them – and therefore lose out on these points – every single week. Forwards: 2 x premium forwards (9.0–13.0) and 1 x cheaper (6.0–8.5) forward. In the 2018/19 season, this is most up for debate due to the abundance of expensive midfielders. If you’re opting for an 11.0+ striker, you need to be captaining him almost every week for it to be considered good value in your squad. Goalkeepers: EITHER: good goalkeepers from smaller teams that may face a lot of shots (and make a lot of saves) which may get them bonus points when they keep a clean sheet, or choose a goalkeeper from a big team with an extremely solid defence, meaning they’re likely to keep clean sheets more often. Defenders: LOOK FOR: clean sheets, attacking full backs, centre backs that get forward for set pieces, or any defender that actually takes set pieces; corners, free kicks or even penalties. Midfielders: LOOK FOR players that: register a lot of assists, take a lot of shots, take set pieces, play out of position (i.e. listed as a midfielder, but actually play in attack). AVOID: defensive midfielders. Forwards: LOOK FOR: goalscorers (obviously! ), penalty takers, teams that create a lot of chances, undroppable. You also need to consider one other hugely important factor for every position on the pitch: is this player nailed on to play 60+ minutes every game? If they aren’t, don’t pick them. Are owned by less than 5-10% of players on the game. Owning differentials is the key to rising rapidly up the leaderboard. Differentials are a lot more ‘risk’ than they are ‘reward’. Success at FPL involves covering the highly-owned, highly-performing players. They should be saved for your end of season charge for victory – this is a marathon, not a sprint. Using 2 free transfers in one go is significantly better than using one free transfer two weeks running. It also gives you a safety net if something goes wrong (such as injury or suspension). AVOID POINTS HITS! Any additional transfer you want to make will cost you 4 points. Do not get tempted to take a significant amount of points hits across a season. Usually, the overall winner of FPL will take less than 20 points in the entire year in hits. Points hits can be profitable, but conservative play is rewarded more than aggressive play over a large sample of players and time. Try to make transfers the day before, or on the day of, the transfer deadline. Being eager and moving early might help you avoid price rises, but if they – or another one of your players – get injured in training, you’re doomed. Price rises: these occur when a set amount of people transfer a player into their team in a gameweek. They happen in 0.1 increments, and can change by as much as 0.3 in one week. Price falls also occur for the opposite; too many transfers out. There are many sites out there that help you to monitor predicted price rises and falls. You also get two wildcards to play a season; one to be used before the end of the January transfer window, and one to be used after. This will allow you to make unlimited free transfers in a single gameweek. Use the first one wisely, there is no ‘best’ time to use it – it all depends on your team. Your second wildcard should be used just before a double gameweek: these tend to occur very late in the season, whereby a team will play twice in the same gameweek. This allows them to accumulate more points than they normally would in two single gameweeks – especially if they’re your captain. Chips are something you also want to save until just before double gameweeks, particularly your ‘triple captain’ and ‘bench boost’ chips. Be patient and save these. The newest ‘Free Hit’ chip is used to good effect in blank gameweeks or if you have a huge injury or suspension crisis. If you use it before a blank gameweek then it will require extreme planning to save yourself when these roll around. FPL Statistics: price change predictor. WhoScored & Squawka: player and team statistics. Fantasy Football Fix: automate your decisions based on form and estimated points. Betfair Exchange: accurate, reliable betting odds – free from bookmaker margins – for working out whether teams are likely to keep a clean sheet or players are likely to score a goal; helpful for deciding your captain pick for the week. Betting exchanges also have the huge advantage of allowing people to do matched betting. r/FantasyPL on Reddit: active, free community for advice.